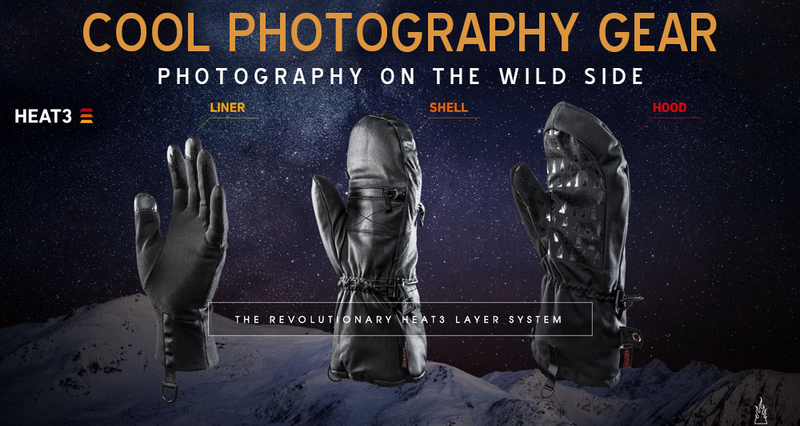 Best Winter Photography Gloves | HEAT3 Layer System | Cool Photography Gear "
New for 2017 the Heat3 Smart glove just got a whole lot Smarter. 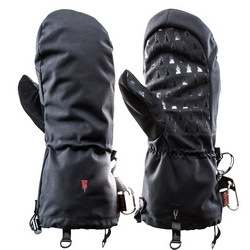 The new Heat3 Layer System now gives you the flexibility to build the perfect glove/mitten system for all shooting conditions from cold to extreme cold. The outer shell no longer has the liner built in, it is simply a shell. 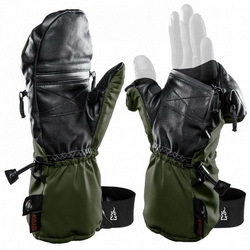 Now you have your choice of three removable liners of varying warmth to wear inside the shell. 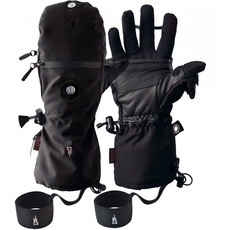 A new third windproof and waterproof layer called the Polar Hood has been added to the system. The hood fits over top of the shell for added protection from the elements during extreme cold shoots. 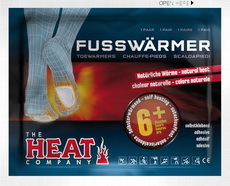 Please view the Original Heat 3 Size Chart and Heat 3 Layer System Size Chart for correct sizing. There will be a $17.00 re-shipping fee applied to wrong size orders. 100% will be donated to Project North. John Marriott - Professional Photographer - "The second thing that's absolutely key is a good pair of gloves that will keep your hands warm and still allow you to use your camera and access your controls in temperatures below -25C. 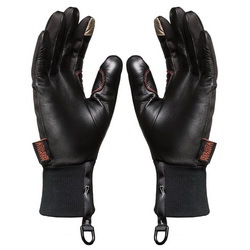 Up until recently I used a combination of gloves and mitts that did the trick, but now that the Heat Company has come out with the Heat3 Smart gloves I use them almost exclusively because of the warmth the outer layer mitts provide in combination with the dexterity the interior gloves allow." 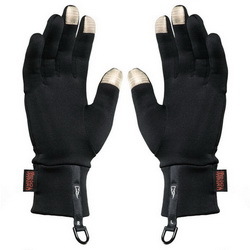 Note: The Heat3 Smart glove was designed specifically for use with the accompanying hand and foot warmer technology. 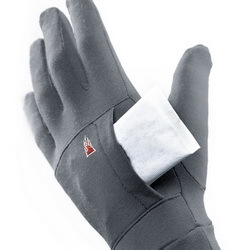 The hand warmers fit perfectly in the top zippered pouch and the adhesive toe warmers can be used on the underside of the glove through the zipper opening on the palm that is used to expose the fingers. 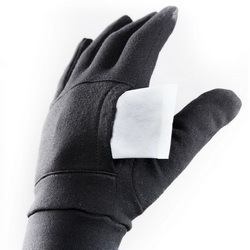 We prefer the adhesive foot warmers on the underside of the glove as they do not slide around once they are positioned within the glove. We highly recommend you order both the hand and foot warmers when you order your gloves so you are prepared for the extreme cold temperatures when the mercury really plummets.